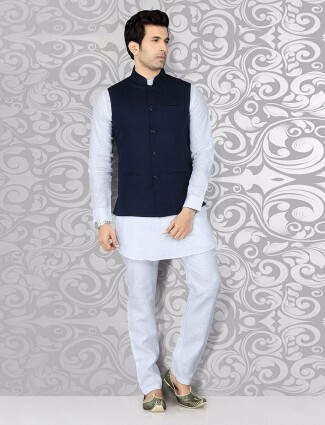 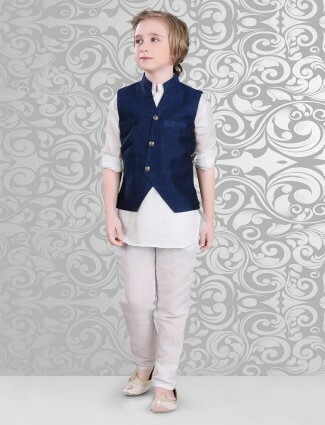 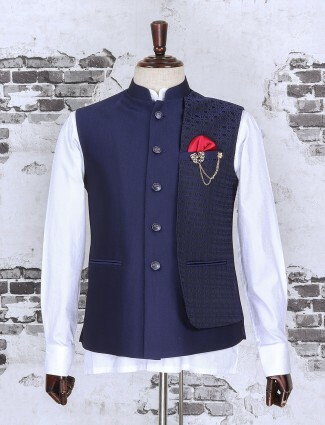 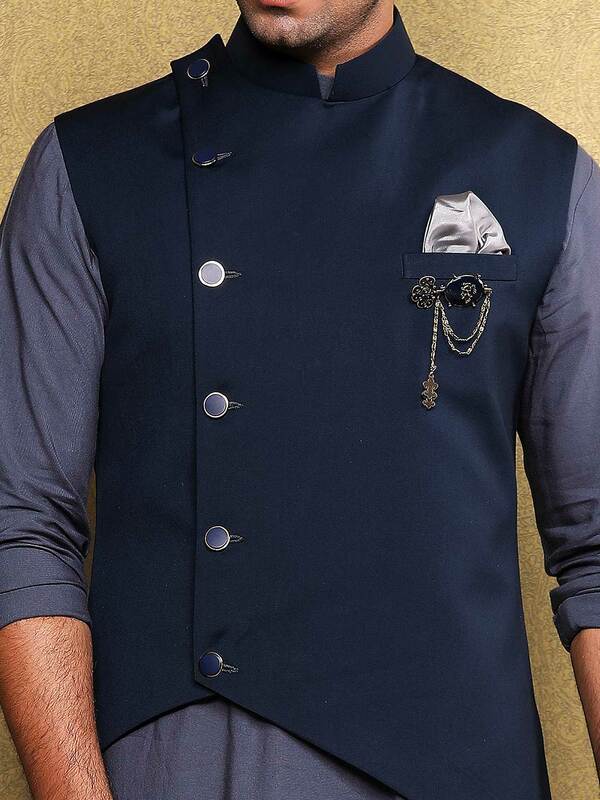 Nice ethnic collection with this solid navy hue terry rayon fabric waistcoat set for party occasion. 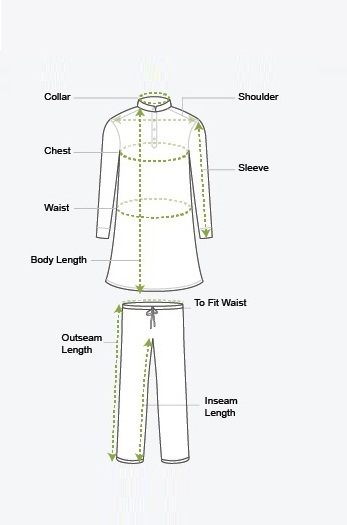 Detailing with stand collar, full button placket, welt pocket with brooch and cross hem. 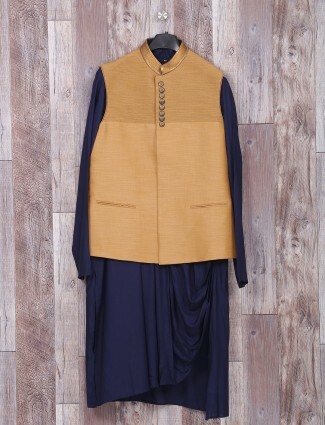 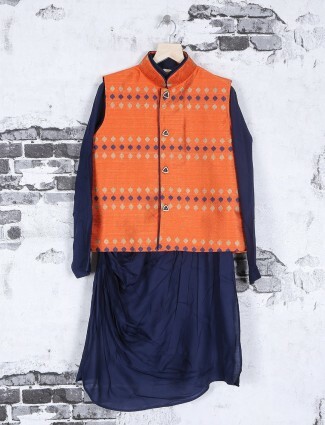 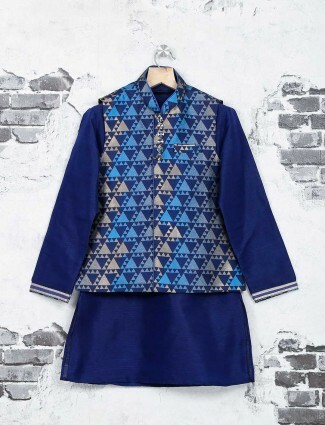 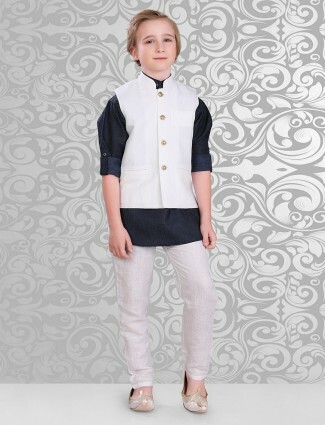 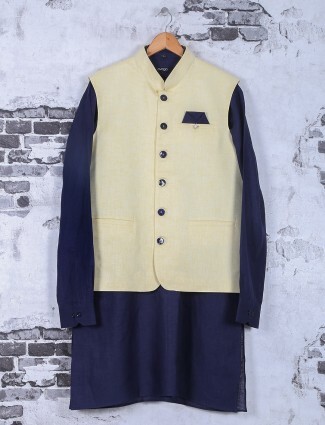 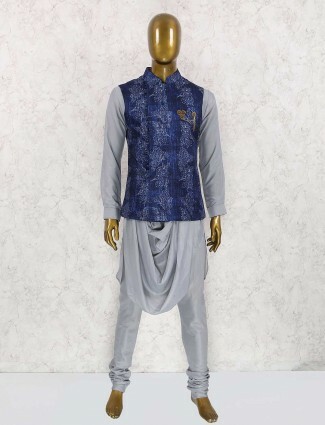 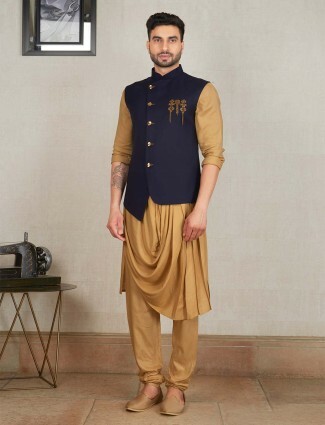 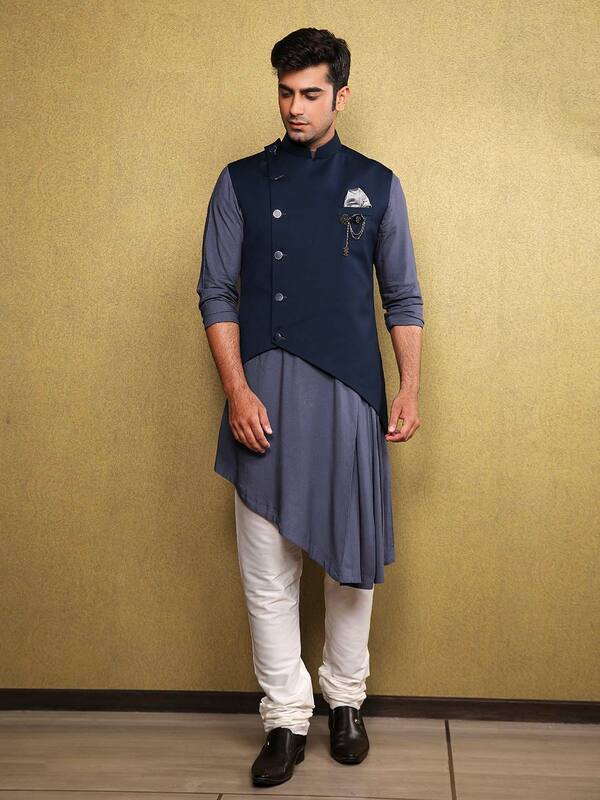 Comes with blue hue pleated design kurta and bottom.